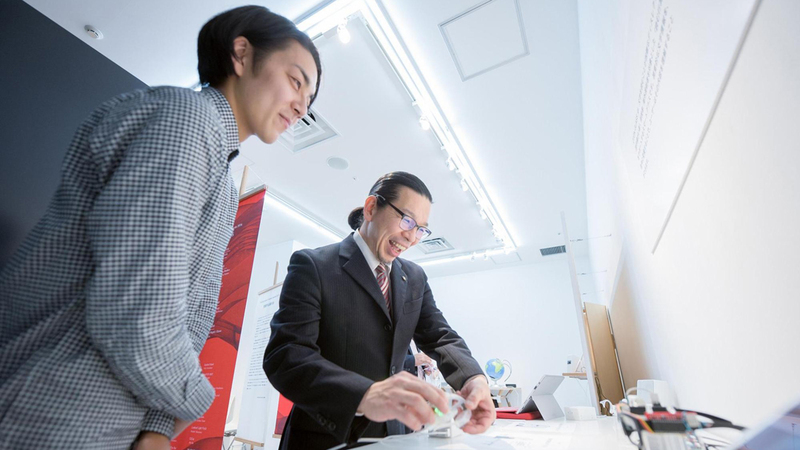 Today’s talk is with Keisuke Shimakage, the representative of the development team, and Manabu Kawada, the director of Yamaha Design Laboratory, on open innovation, and designs that inspire each other. —Mr. Kawada, I heard you were serious about “designing design”, in other words, creating frameworks for various things. In the work process, what are some of the most important factors you consider in setting up the initial question? Also, considering those factors, what were some of the appeal that “OTON GLASS” had for you in awarding it the Yamaha Prize? Kawada: When we, designers start drawing on our sketchbooks, it means taking a step in visualizing abstract ideas. Yet, if we take a further step into realizing them with prototypes, they start to involve people. Something completely different from what we used to simply think and talk about appears in front of us. When we saw OTON GLASS this time, its ongoing prototype was enough to stir up our imagination. I often tell my company that if we want the right answers, we need to come up with the right questions. When designing, it’s rather important to ask yourself whether the question you have is a proper one. Since a prototype always aspires to become its complete form in every stage and moment, it is like a human being that constantly pursues happiness. Because it wishes for completeness, it has no idea as to when there will cease to be a next stage for it. The same can be said for instruments with long history, which are constantly evolving. It can be said that the very existence of an incomplete thing is itself the question. When talking about instruments, I would often talk about the story of “Use” and “Play”. “Use” implies a defined purpose from the start, with given steps and tasks. If it takes fewer steps and lower effort in achieving the same task, we call it convenient. Meanwhile, “Play” is something we are unsure about, but it’s something that makes us want to sence it. Once we find out that we can do something with it, we get the urge to do something more with it next time. Playing an instrument is like that. Once you get to do something well, you get the urge to try something more difficult with it. In other words, a thing to “Play” with gives you more objectives once you manage to do something with it. I think OTON GLASS is precisely like that. In terms of “Use”, it has a defined purpose of helping the user by reading out loud the characters that are hard to read. Yet, to me, OTON GLASS had a potential to become something to “Play” with, besides being a thing of “Use”. I believe this was the biggest reason Yamaha chose OTON GLASS. ―As you said, OTON GLASS does look like it can be both a tool of “Use” and a thing to “Play” with. Mr. Shimakage, have you, had a similar realization while developing it to be a tool with the purpose of solving a problem? Shimakage: Yes. When we started developing it, we thought of it as a tool for solving a problem. Afterwards, once the project finished, we noticed that there was something fun in visual information being converted to auditory information. It was definitely not something we were aware from the beginning. Rather, while experimenting with our prototypes, we were able to feel our sense of perception expand. It was only then that we realized there was something fun about it. Kawada: Because OTON GLASS already had an honest purpose of helping people in our lives with their specific need we wanted to add something new to it. For example, in the “emoglass” video we made, there is a scene where the girl walks into a cake shop. The device says out loud not only the name of the cake but assumes a tone as if it were trying to recommend it. I suppose it could also tell the user that it’s so far the best-selling thing in the shop. Instead of trying to recreate a one-on-one conversation consisting of repeated questions and answers, our idea was to add something playful or extra to the voice feedback of the device, to make the user feel as though they are having a lively dialogue with someone. Shimakage: Our goal is to deliver OTON GLASS to people who really need it. That’s why we had to first make it into something that is actually usable. While working on this, it was inevitable that we became preoccupied with things like making the device smaller, and improving its processing speeds and precision in recognizing characters. And yet, we realized that what truly moved us in using OTON GLASS was not in its performance, but in something else. I believe Yamaha successfully pointed that out for us this time. ―When creating OTON GLASS, the development team had its own objective that unified the team’s goals in making it. But I’m assuming there was a considerable amount of change to this with Yamaha’s input. Could you tell us about the change in the team’s perspective? Shimakage: While we were aware of the fun in expanding our perception by hearing visual information being converted to auditory information, we had too little time and experience to start investigating the “emotional aspects of sound”. When we were awarded with the prize, however, we were able to meet Yamaha, which has been developing music instruments. With its long-accumulated knowledge base, Yamaha created a mock-up of the device and a working prototype inspired by OTON GLASS, as well as a video clip of actually using the device, to show us their ideas. Those works gave us the opportunity to keep working on the new possibilities for OTON GLASS. 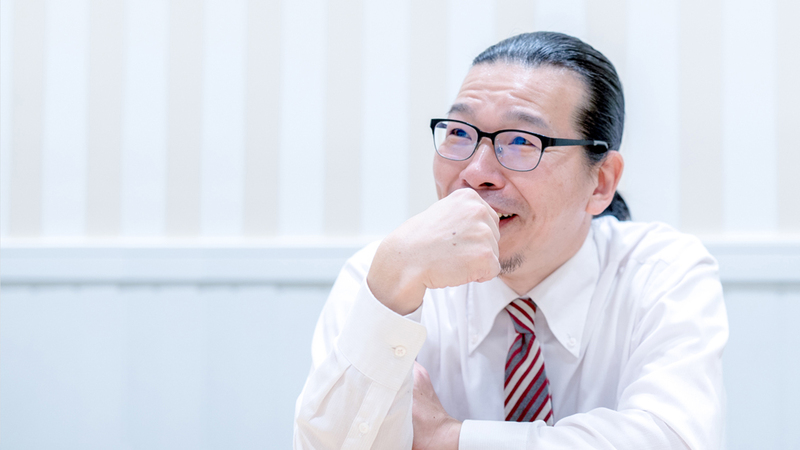 Kawada: Since the theme for the Yamaha prize was “a switch for the emotions”, we evaluated OTON GLASS from the standpoint of a product that is already being used in the world, instead of something that is as is. What was more unusual about this award was that it added more ideas to the existing work. What’s interesting about this award is that it spurs the creation to further develop itself, without just commending it. You can say the event is like something that takes place while two people are playing catch, and that’s why it’s fun. ―Has Yamaha been actively focusing on open innovations like this lately? 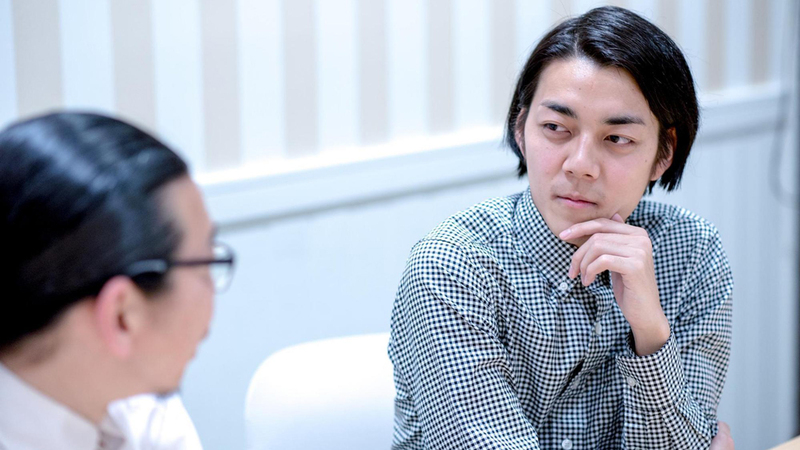 Kawada: We have been working with various people outside our company for a long time, but ever since we found ways to produce prototypes at a much quicker pace, things have been accelerating. And yet, we have not seen a case like this one. With this award, there was OTON GLASS on the exhibition, and emoglass, which our company jointly developed with the developers of OTON GLASS, displayed beside it. I think it would be very intriguing if people from other companies take interest in imitating us. Shimakage: It isn’t a carefully organized open innovation. Rather, the creation itself challenges other works, which, in turn, is challenged by other creations. Think of various creations constantly competing with each other. Kawada: Inspiring is a word often used to compliment something, but it’s just like that. I very much enjoy how different ideas inspire each other. Shimakage: It doesn’t end with, “I like this”, but rather, making something by itself becomes a criticism of other creations. By creating something different, the maker conveys the message of new possibilities to creators of other things. Kawada: What I thought interesting especially about this time was that we didn’t have detailed meetings or anything like that. It was very much like playing catch, or like a game of poker. While hiding our completed hand, we exchanged ideas depending on what the other player offered. It was also like a jam session, because many things were done in an improvised manner. This collaboration felt like a serious, but also a playful contest between two professional creators, competing with seasoned skills and sincere enjoyment. I look forward to seeing future projects by the two companies. Thank you for your time today!